There are dozens upon dozens of chocolate technique cookbooks in this world. 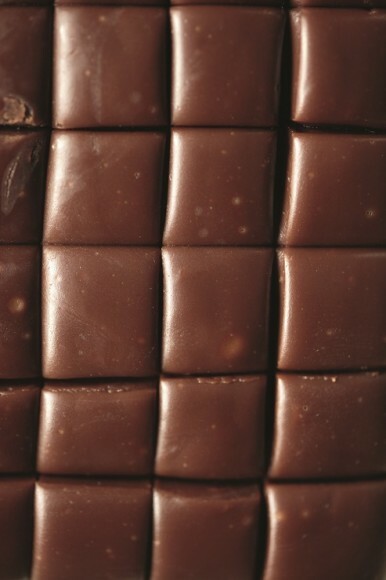 However, Frédéric Bau’s Cooking with Chocolate: Essential Recipes and Techniques stands tall above the competition. Although many of the recipes are straightforward enough for most amateur cooks to understand, this essentials book is clearly better suited for professionals. Valrhona asked eight world renowned chocolatiers to break down the basics and go beyond in this one-stop-shop chocolate tome. Bau slowly introduces his reader to the world of chocolate with basic techniques such as bonbon fillings, pastry doughs, mousses, and ice creams. Then the pages swiftly change gears to discuss chocolate theory; cocoa percentages, chocolate myths, and the process from bean to bar. Before the reader realizes it, they’ve have begun to comprehend the essentials and are reading (and more importantly understanding) the more advanced recipes that follow. Private chefs and caterers will enjoy the section on Candies and Confections since every recipe is simple, elegant, and beautifully bite sized. The chocolate caramels in this section are a wonderful starting point for any chef looking to add a signature touch to a dessert tray. Need a little more inspiration? Try making the Sesame Topped Choco-Cinnamon Ganaches; clients will think you hired a chocolatier for their event. Professional pastry chefs will enjoy the section titled Trends which explores the savory side of chocolate in recipes such as Lobster Jus under a Light Cloud of Bittersweet Chocolate or Cod Fillet with Green Tea Béarnaise and Smoked Milk Chocolate Sauce. But wait, there’s more! For those of you who learn better by watching someone else do it first, Valrhona includes an instructional DVD. Is there anything else you could ask for in a technique book? The Ecole du Grand Chocolate Valrhona makes the essentials of chocolate both approachable and professional for any chef looking to either brush up or expand their chocolate knowledge. 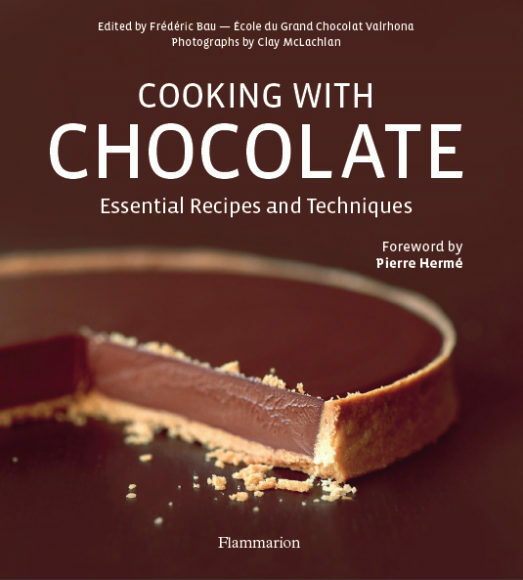 Leave it to the Ecole du Grand Chocolat Valrhona to create one of the most comprehensive chocolate techniques book published to date. Chop the chocolate and melt it slowly in a bain-marie or in the microwave oven (on “defrost” or at 500 W maximum, stirring from time to time). Add the salt to the cream and heat in the microwave oven so that it is warm enough to be added to the caramel. In a large saucepan, carmelize the sugar with the honey to make it a nice, light caramel. Being very careful, slowly pour the hot cream over the caramel so that it does not splash. Heat the mixture to 239 degrees F (115 degrees C) and pour it over the melted chocolate. Add the diced butter and mix it in quickly. Pour into a confectionery frame or silicone molds and leave to harden overnight.